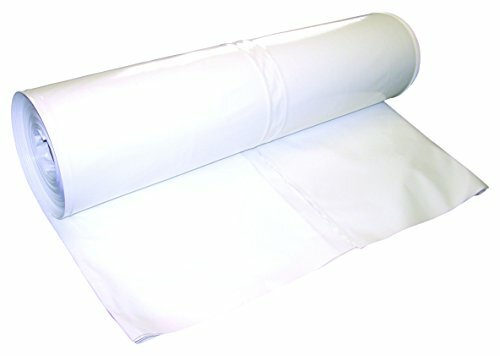 White shrink wrap material. 12' wide by 149' long 7 mil 100% virgin resin shrink wrap. 12 month UV protection. 1,788 square feet.